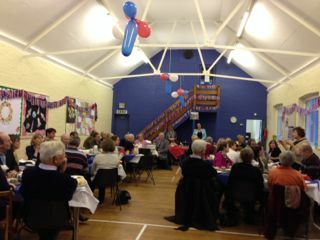 On the November 17th, a dry sailing Tea Party was attended by a large number of well wishers to say farewell and thank's to Margaret Starkie who has been the Parish Clerk at Fen Ditton for the past four years. Margaret endeared herself to everyone with her good humoured efficiency and she will be greatly missed. However she promises to continue helping at village events. At Margaret’s request, being a keen sailor, all proceeds raised from the Tea Party will be donated to the Royal National Lifeboat Institution.